A set of 2 Battenburg lace machine embroidery designs with mini roses decoration. 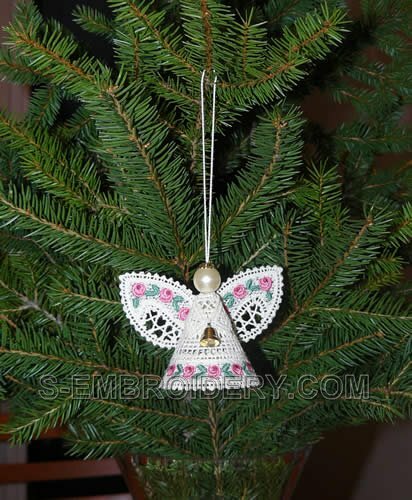 Use it to create a Christmas angel ornament for your Christmas tree. 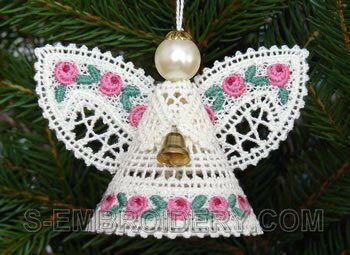 The set includes instructions for creating the angel Christmas ornament in PDF format.